Sometimes you wake up and just don’t know what to wear, it happens to any girl any time. 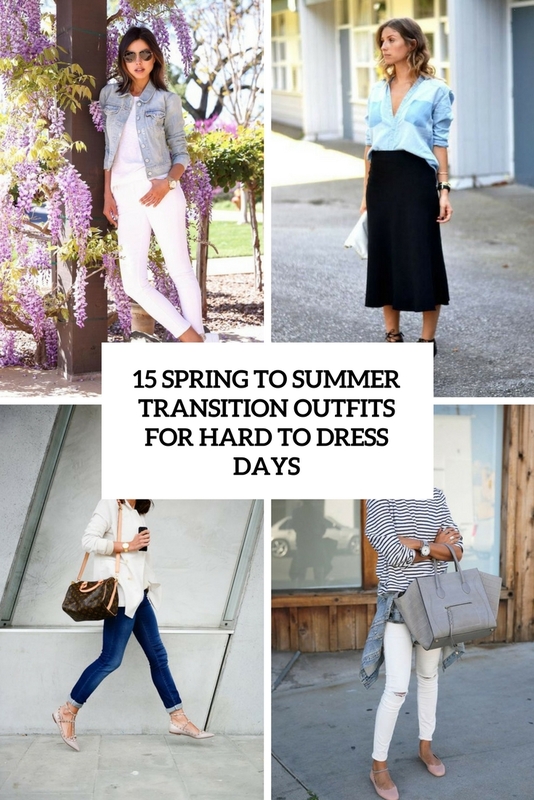 Now it’s transitional time from spring to summer and it’s even more difficult to choose what to wear due to the constant weather changes and temperature differences. I’ve prepared some trendy looks to rock on such days and I hope you’ll like them, too! 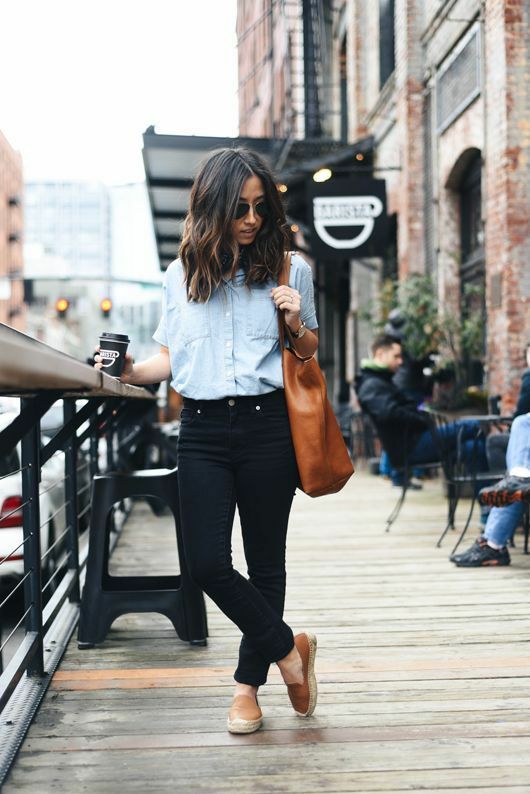 A chambray shirt is a great casual piece to wear during this period. 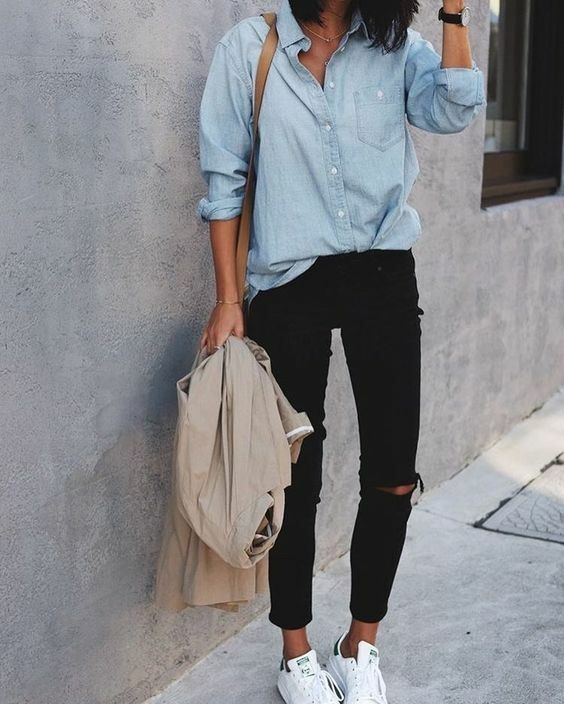 Style it with a comfy midi skirt and sneakers or heels for a more girlish feel, or go for denim on denim trend wearing a chambray shirt and skinnies of a different shade of denim. Monochromatic looks are timeless and always work for everyone, besides, there are a lot of combos and items to try. Rock a white tee with a black slip dress and white sneakers, wear white skinnies with a striped tee and a white blazer or enjoy various monochromatic black and white looks of your choice. 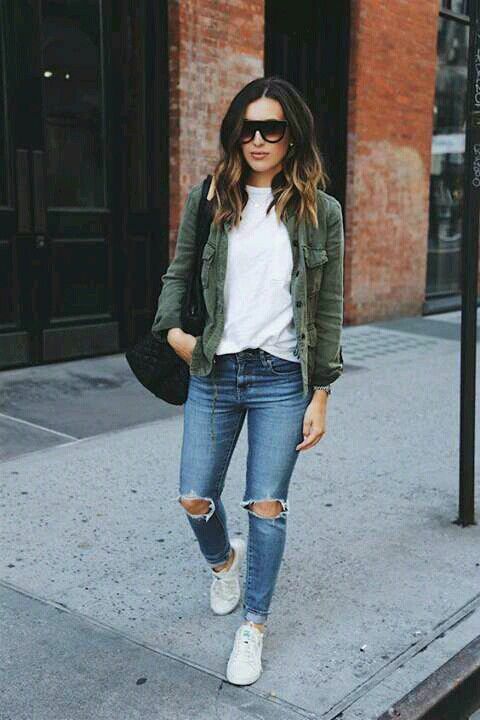 Jeans are an all-time loved piece of clothes, which is ideal for almost any situation. Don’t know what to wear? Put on jeans, a tee or a top, sneakers or flats and you are ready to go. Culottes can be styled not only for work but for everyday life, too, wear them with a top and a denim jacket for a more casual look. Enjoy!